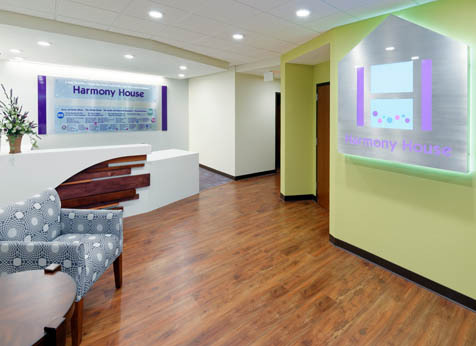 Harmony House of Springfield Missouri provided safe emergency housing to families escaping domestic violence. The shelter provides, case management and advocacy to more than 700 women and children. Their mission is to help women break the cycle of domestic violence and live live free from abuse. What started as an old three level hotel was drastically renovated to become a new domestic violence shelter for 160 people. The old shelter is more than 100 years old and had a capacity of only 100 beds. 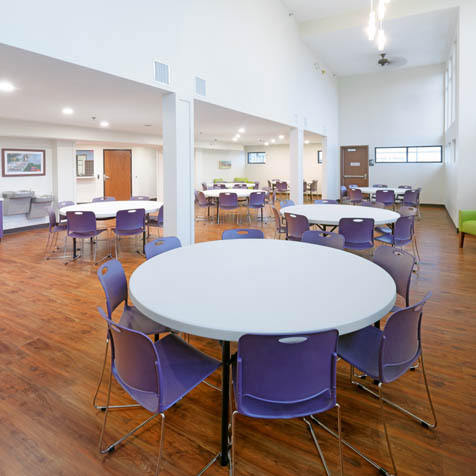 The new Harmony House features 160 beds and larger rooms that can sleep up to 4 people and have private bathrooms.This increased capacity equates to 30,000 safe nights of sleep. One of the new key features is a medical exam room overseen by Mercy Hospital nurses who will provide basic medical attention. 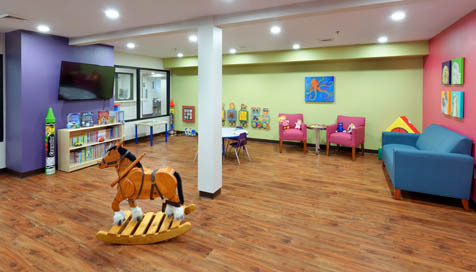 The new space has conference areas, child care rooms, and a commercial kitchen.